Not Just a Matter of Passion is a moving image installation on two channels, which comprises two parallel narratives. 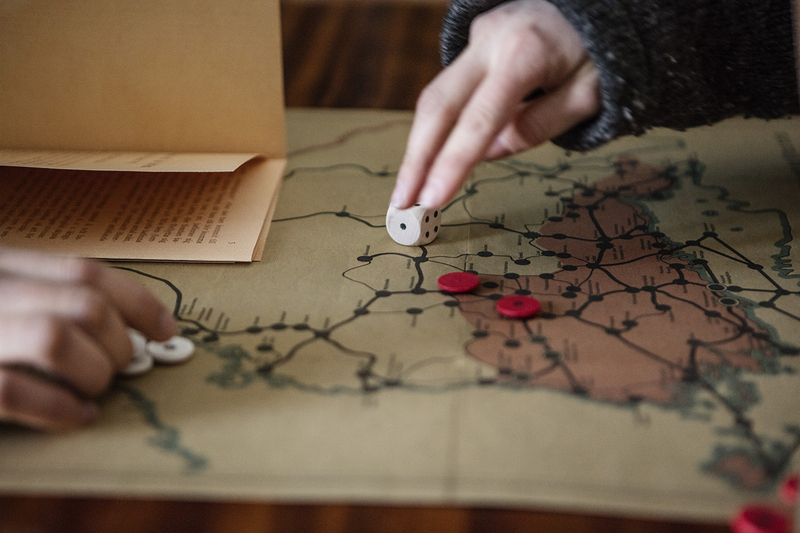 Two young girls discuss the Finnish Civil War as they play a board game based on the 1918 conflict between the Reds and the Whites. 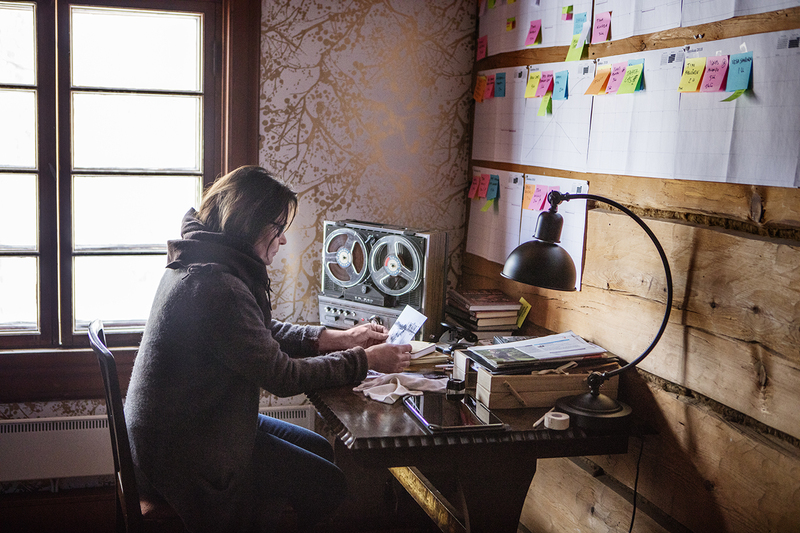 A researcher listens to an archive interview and looks at photographs taken at the time of the Civil War. Her work focuses on the fates of women and children on the red side of the conflict, the division that split Finnish society in two and the process by which each side attempted to dehumanise the other. The events are set in the present day, with some scenes shot on location in Mänttä-Vilppula, a site of the Civil War front line. The manuscript draws on records held in the Serlachius Museums’ archive that includes material of the Civil War, such as taped interviews carried in the early 1970s. A voice-over tells of the Lecklin’s investigation of her own family’s experiences of the Civil War. Two young girls play a game ”The Fight of Red and the White in Finland in 1918”. 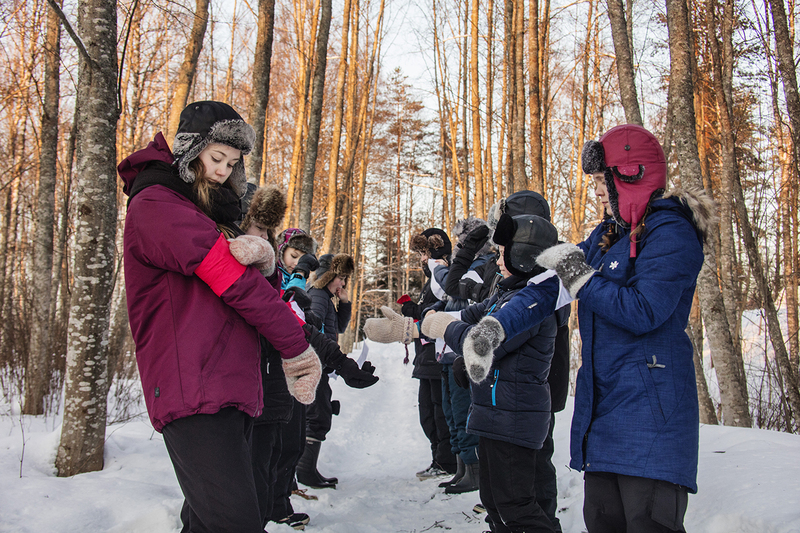 Simultaneously children engage in a snowball fight. A researcher looks at old photographs and talks about the ways in which women from the Red side where dehumanised. 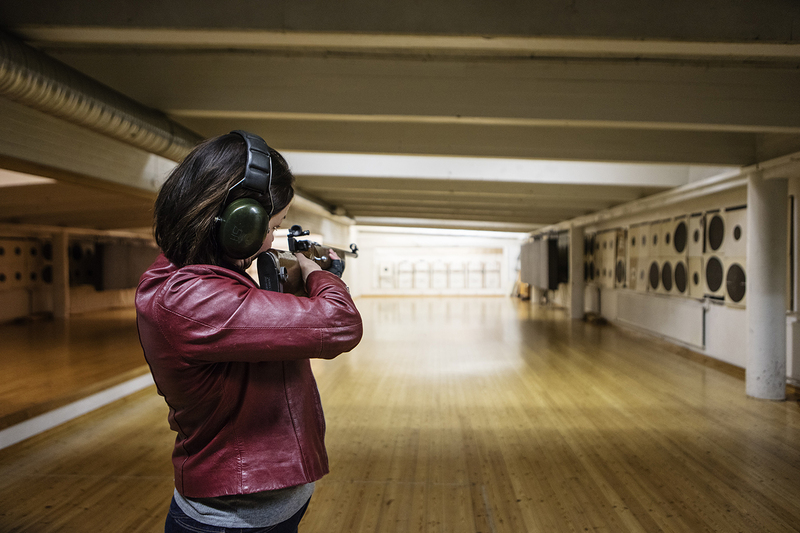 She shoots with a rifle at a shooting range, and smokes in the window of an apartment block. Stories based on interviews with participants in the Civil War and recorded in the 1970s are re-enacted in a black studio.